Epic Scenery - Overlooking the mountain, the city, the lake and surrounding areas. Mt. Shasta - Walking out onto the deck is nothing short of empowering. Wonderful Living Space - This rental is every bit as amazing as its location. Dynamic Kitchen Layout - A functional and elegant kitchen fit for even the most seasoned chefs and culinary artists. Amazing Lighting - Can be seen from miles around. Romance - Love without distraction. Rustic Culture - Rugged mountain style at its absolute best. Detail - Custom hand carved, monumental and a one of a kind vacation rental. Home Sweet Home - Vacationing here truly elevates the soul. Luxury - Hand crafted furnishings in rustic western style. Visit our listing on VRBO to see reservation info and testimonials. This cabin stands out among Mt Shasta's countless vacation rentals. The luxury retreat can be seen from miles around, including from many attraction areas of Mt Shasta itself. If you are looking for a retreat in the Siskyou County area this could be your vacation rental of a lifetime. When you leave this cabin you will take with you the memories of an experience not soon forgotten. 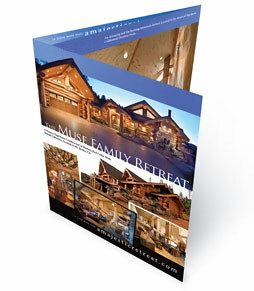 The Muse Family presents their Northern California majestic mountain rental retreat available for reservation. This 7,600 sq foot Pioneer Log Home is an all natural, 3 level cabin with 4 bedrooms, 3.5 baths, a loft, a 1,700 sq foot deck and a 3 car garage with living space above. The home was custom built in British Columbia per our specifications from hand skinned Western Red Cedar, shipped and reassembled on site here in Siskiyou County / Mt Shasta California. It sits at 4,000 foot elevation adjacent to beautiful Mt Shasta and Lake Siskiyou, backed by thousands of acres of Forest Service land with many of Northern California's Wilderness characteristics. The interior features natural stone and wood floors, massive fireplaces built with volcanic rock native to Northern Ca, as well as custom hand crafted western style furniture. Please see our gallery section for interior and exterior images. Mt Shasta is known by many worldwide as a powerful and spiritual energy source, even one of the most important places on earth. It sits on what is considered to be the most important of 7 planetary energy vortexes or "chakras". People travel from all parts of the world to visit the area in effort to experience what so many have called a spiritual source for love and enlightenment. Standing at over 14,000 feet and with a base spanning more than 8 miles it can be seen from more than 100 miles away. And can be experienced in all its glory right from the large east facing deck. This cabin stands out among Mt Shasta's vacation rentals and in the luxury retreats rental market overall, truly worthy of its magnificent location and view. Please visit our VRBO listing for reservation info.